Susan Thomas holds degrees in civil engineering and economics from IIT, Bombay and University of Southern California, Los Angeles, respectively. She is faculty at the Indira Gandhi Institute for Development Research, Bombay. Her research has been in financial econometrics, specifically modelling volatility of prices, and analysing aspects of market microstructure in Indian financial markets. She has worked on projects with the World Bank, IFC, ADB, NSE, India, FMC and the MoF. She presently serves on the board of directors at Risk Committee of IFMR Capital in Chennai, Benchmark AMC, SBI Pension Fund Management Co., the Trustee Board of India Value Fund Associates, the Executive Committee for F&O at the NSCCL, India, the Technical Advisory Committee for Foreign exchange, money markets and government securities, RBI and the Secondary Markets Advisory Committee, SEBI. 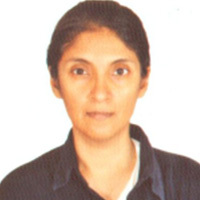 Her work can be accessed at http://www.igidr.ac.in/susant.